These are the juniper thinning projects on public land that we are currently monitoring. As the projects are finished, we will report on them here. Click on the underlined projects to go to that project’s page. The measuring stick has six inch increments. Old growth western juniper firewood cut on the Modoc National Forest. 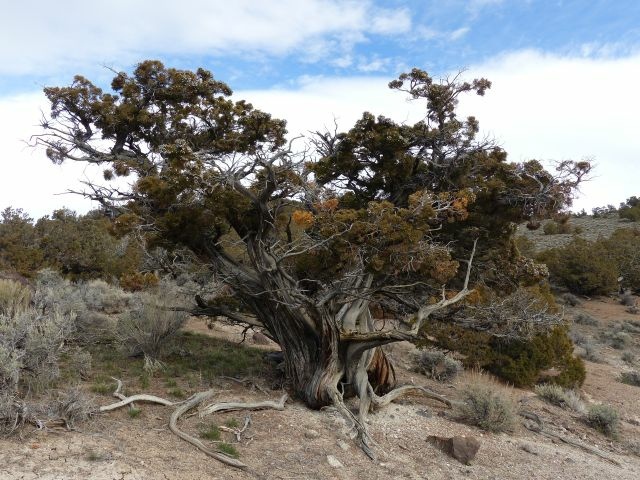 Protected old growth juniper is being removed on our public lands at an alarming rate. 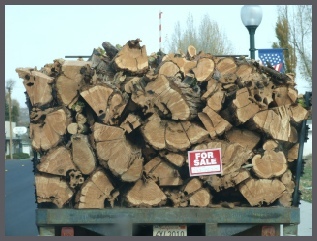 Mismanaged or careless juniper thinning projects by the Forest Service, BLM, and free-roaming wood cutters on the Modoc National Forest are taking a steady, cumulative toll on our old juniper woodlands. New roads, updated September 2013, initiated by a single wood cutter into an old growth stand are then reused by others to continue dismantling the old woodland. Many illegal wood cutting sites were documented and brought to the attention of the MNF Forest Supervisor at the time. Nothing was done about them. Pre-settlement old growth junipers, trees established around 1870 or before, are protected by the Sage Steppe Ecosystem Restoration Strategy. 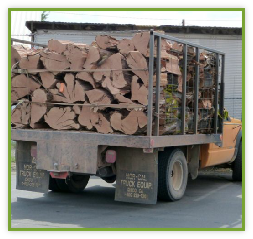 This strategy was incorporated into the Resource Management Plan of the Modoc National Forest. Through non-implementation and non-enforcement of important provisions, many old growth juniper are cut on the MNF each year by free-ranging wood cutters. Click here to learn more about wood cutting on the MNF. 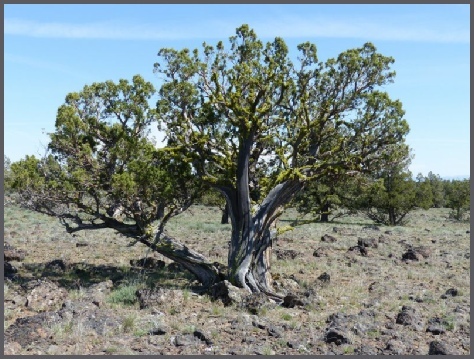 See some great old growth juniper woodlands that are threatened by wood cutters and thinning projects. Very old western juniper cut on the Modoc National Forest. 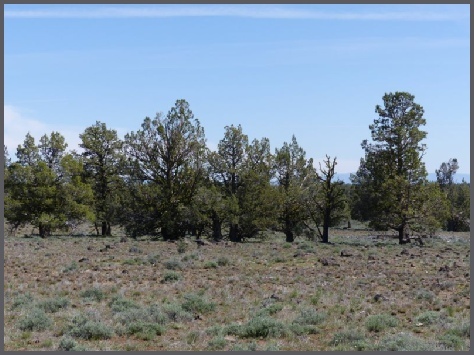 This project proposes to restore upland vegetation by “treating” approximately 1628 acres of western juniper. This juniper removal project is located on the Modoc National Forest adjacent to the Big Sage Allotment juniper removal project implemented in 2011. 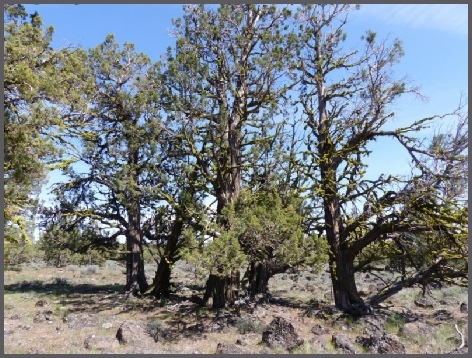 Both projects include areas of old growth juniper woodlands and the documentation from both projects stated that juniper exhibiting old growth characteristics would not be removed. 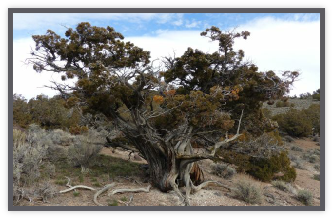 Over 80% of the old growth juniper on the Big Sage Allotment was removed by the Forest Service. Time will tell regarding the Antelope Plains Project. 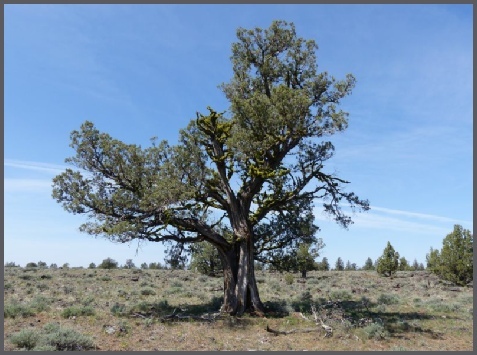 The images below are all from within the proposed Antelope Plains juniper removal project. 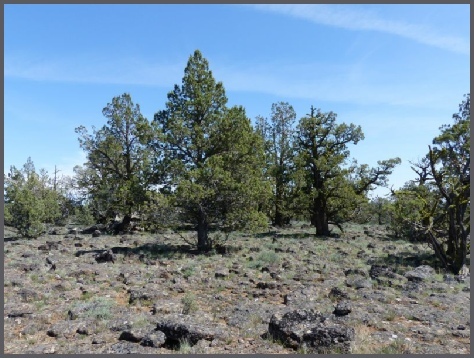 Click here for a before and after implementation look at some of the old growth juniper woodlands on the Antelope Plains Project. There are predominately old growth juniper in this area of the Antelope Plains Project. Sending a contractor into this area with directions to “treat” the juniper will almost certainly result in many old juniper being cut. 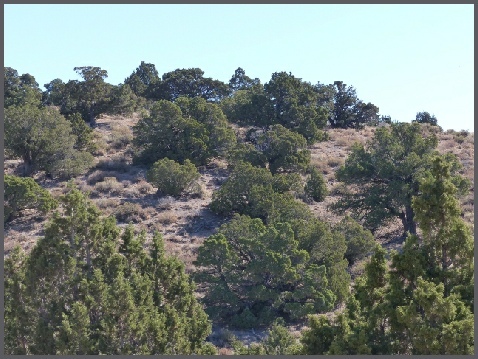 Areas of old juniper woodlands within the project should be flagged as exclusion areas to protect the old juniper communities. Flagged exclusion areas were not used by the Forest Service during the implementation of the Big Sage Allotment project resulting in over 500 documented old growth juniper cut down on just 50 acres of the over 1200 acre project. Areas within the project such as those above exhibit no invasive juniper, yet these areas are included in the Antelope Plains Project for juniper “treatment”. 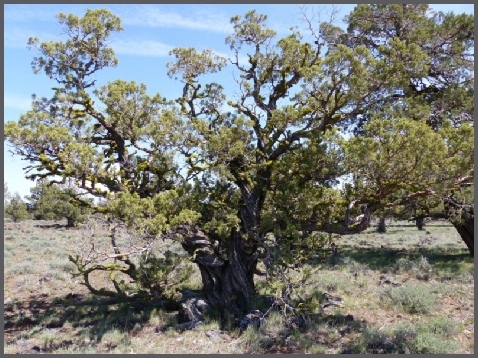 These areas, old growth juniper woodlands, have been in “pre-settlement condition” for hundreds of years and require no “treatment” or “Sage Steppe Restoration”. 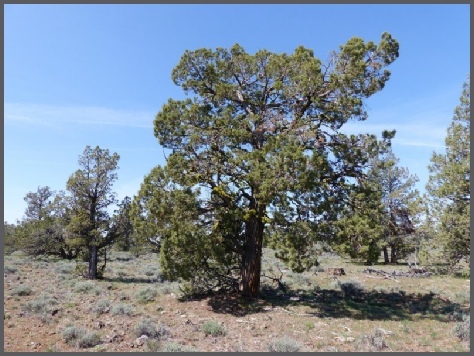 The proposed 49 Mountain juniper removal project, 711 acres, is located about 16 miles northeast of Cedarville, California and is in Washoe County, Nevada. The Decision Rationale states that implementing the 49 Mountain juniper removal project will “...reduce juniper cover, improve sage-grouse habitat and reduce hazardous fuels.” The rationale also states that “Long term benefits will include improved watershed stability, wildlife habitat and increased vegetation diversity.” The Standard Operating Procedures, SOPs, for this project state that no old growth juniper will be removed in the implementation of this project just as they did for the Corral Allotment at Home Camp, Nevada, a few miles to the south. 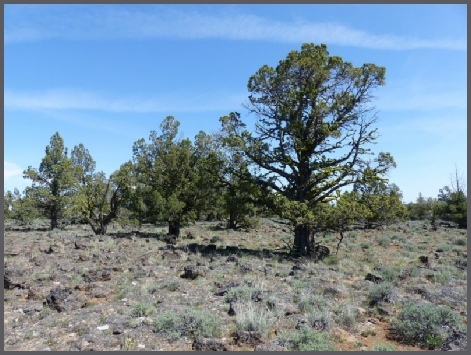 The BLM cut down over 50% of the old growth juniper on the Corral Allotment at Home Camp in 2014. There are many stands of old growth juniper throughout the 49 Mountain juniper removal project. 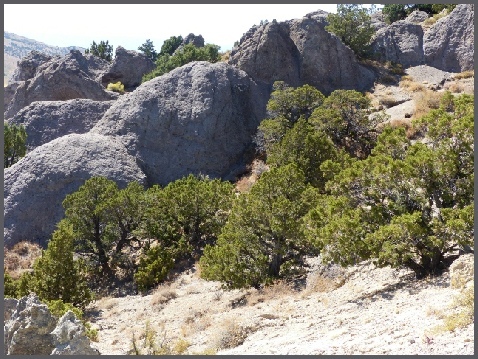 The SOPs for this project includes the statement “In stands where more than 75% of trees exhibit old growth characteristics, no juniper will be cut.” In order to ensure that no old growth juniper will be cut in these stands of old juniper the BLM should flag these stands as off limits so that the contractor will stay out. Typically the BLM does not do this. Most of the juniper within the 49 Mountain juniper removal project is Utah Juniper. 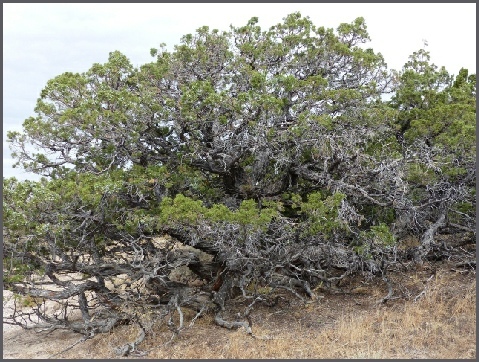 Utah Juniper often has multiple trunks or limbs instead of a single upright trunk and is close to the ground. Often very old multiple trunk Utah Juniper is cut down by the BLM during juniper removal projects because of this morphological difference with Western Juniper. Much of the old growth juniper at the Home Camp juniper removal project that the BLM cut down were similar to the old juniper above. 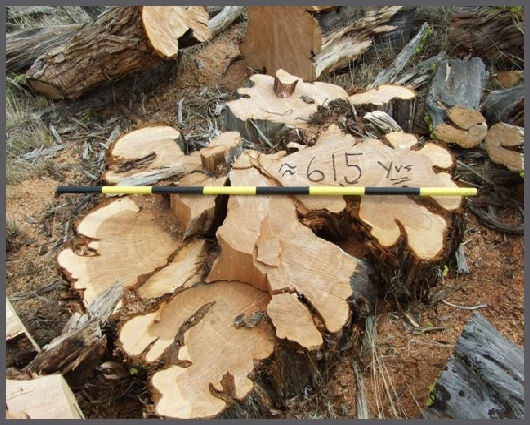 Although size is not an indicator of age, small old growth is often also removed by the BLM. 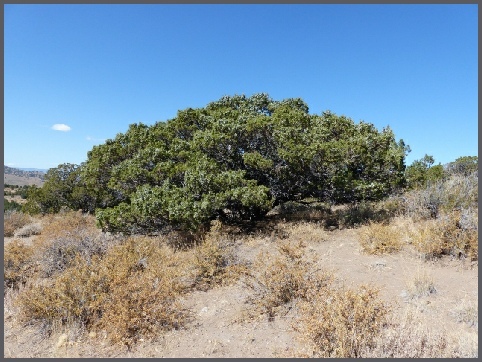 Compare these old growth Utah Juniper with the old growth Western Juniper below in the Antelope Plains juniper project.